Lately, I was not so busy with any major projects. So I was kind of bored and lazy. Lazy because I also don't want to do anything big. Maybe this is because of the weather, hehehe. It is just so hot here! But my mind keeps on urging me that I have to do something worthwhile. I have been looking for sewing projects which can be done in one day. so laziness will not take that urge away. Cross Stitching, then came to my mind. Not much preparations to do. Cut the Aida Cloth, prepare your pattern and sew! Before we used to buy the patterns, but now it is easy to get a free one in the net. Thanks to all the generous people who shares their patterns. I made a simpler version (goal: finish in one day! hehehe! ), so only the owls. 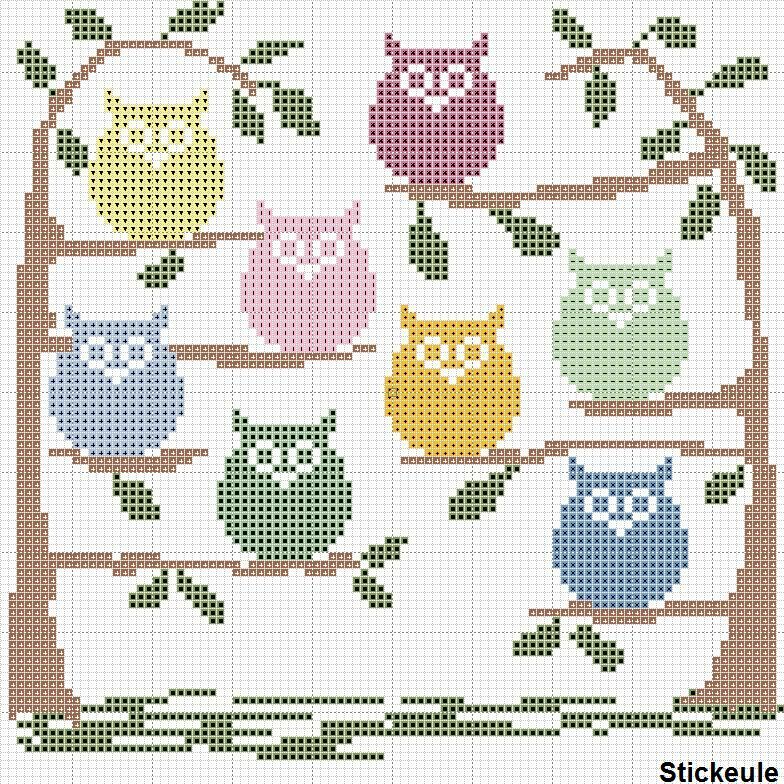 And only 6 owls, arranged in 2 rows. 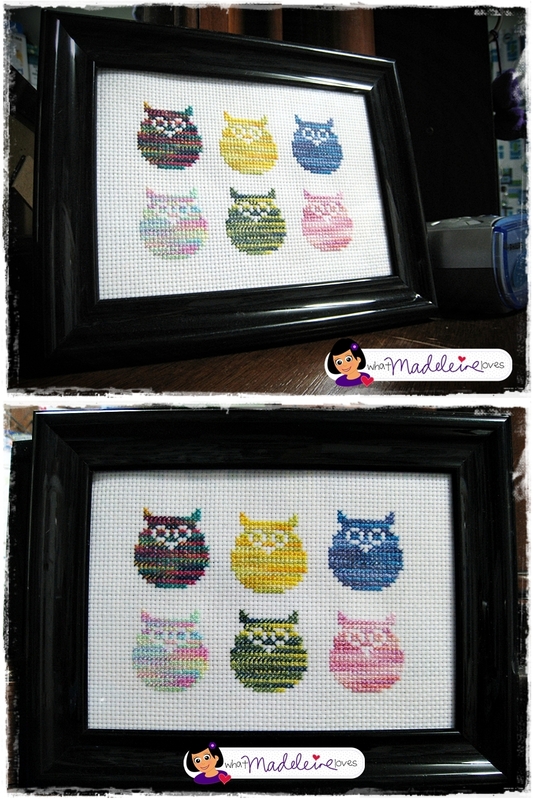 Each owl is stitched using different multicolored floss. The Aida Cloth size is 5"x7". I made it in this size to fit into my empty 5R Photo Frame. So now it is placed in our dresser! If ever I will have my own crafting space in our new home, this would be a great decor. "Time is free, but priceless. Once you've lost it you can never get it back."